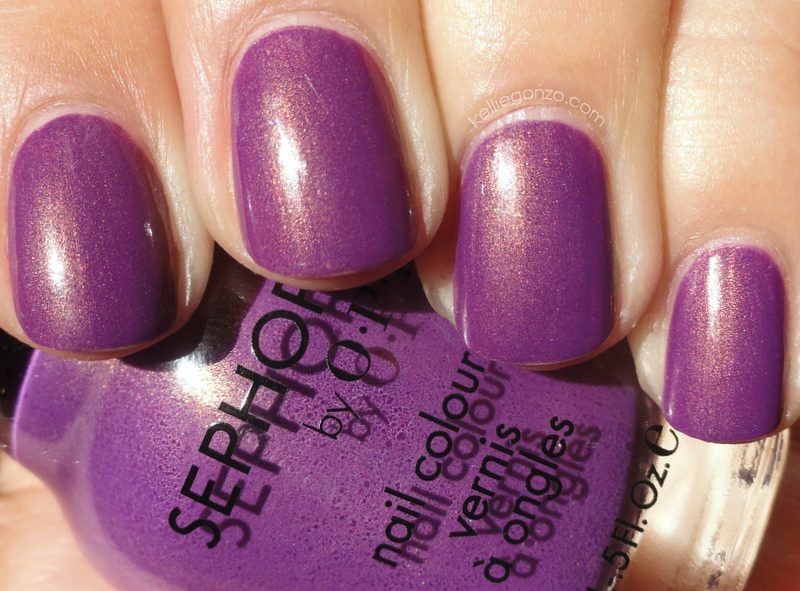 This is Sephora by OPI's Hell to the No, from their Glee collection. It is named for the character Mercedes' catch phrase, it just cracks me up! I wasn't particularly in love with the entire collection so I just got this one. It is a red toned purple creme with lots of fine gold shimmer. This is my favorite tone of purple and it really looks fab against my skin, eh?